Hotel operator Dusit Thani has made a play for the high-end villa rental market with the acquisition of Elite Havens. 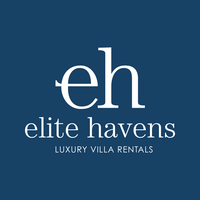 Elite Havens offers luxury villa concierge management, marketing and reservations to more than 200 high-end properties in Asia. Its main villa markets are Indonesia’s Bali and Lombok, Phuket and Koh Samui in Thailand, Sri Lanka and the Maldives. The Hong Kong-incorporated subsidiary, Dusit Overseas Company Limited acquired all shares in Elite Havens’ parent LVM Holdings Pte Ltd for US$15 million. “Our investment in Elite Havens marks another important milestone in our strategic journey, particularly our two-pronged plan for expansion, which includes doubling our number of hotels in operation, and providing broadened experiences for our customers.” said Suphajee Suthumpun, Group CEO, Dusit Thani Public Company Ltd. It is a new departure for Dusit Thani which will leverage the villa management expertise of the Elite Havens team which has been established for 20 years. “With our strong focus on people and exceeding expectations with our services, Elite Havens shares the same values as Dusit, so there is already a strong synergy for us to build on. We look forward to a very bright future of sustainable and profitable growth,” said Jon Stonham, CEO, Elite Havens.